THE Zimbabwean crisis continues to exist in the Southern African Development Community (Sadc) corridors despite efforts by regional leaders to portray the ugly scenes that rocked the country in recent weeks and the economic crisis facing the country as a thing of the past, a top MDC official has said. Sadc chairperson, Namibia President Hage Geingob early this week released a statement after the regional body met on the sidelines of the African Union summit in Addis Ababa, Ethiopia, where he said the region was in full support of the President Emmerson Mnangagwa-led government’s efforts on the socio-political and economic spheres. But addressing business executives in Victoria Falls yesterday during the first session of a three-day Africa CEO Roundtable conference, MDC deputy chairman, Tendai Biti said Sadc leaders were seized with the Zimbabwean crisis behind closed doors. “I think that a lot of things are happening behind closed doors, that I can assure you, within Sadc. I think that you should not be misled by prima facie appearances of condonation by the leadership of Sadc,” he said. 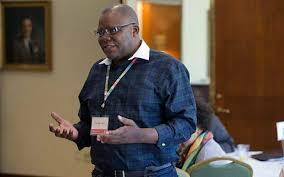 Biti said the regional economy was suffering as a result of the presence of Zimbabweans fleeing a crisis at home. He said countries such as South Africa were now faced with a strain on their social services as a result of Zimbabwean immigrants in that country. “I think that out of their own selfish interests, they (Sadc leaders) will move (to act) on Zimbabwe because the crisis is putting a premium on their country. South Africa has been doddering on a 1% gross domestic product (GDP) growth and I think after solving the Zimbabwean situation, South Africa’s economy could grow to about 2 or 3% of its GDP,” he said. Biti had earlier on said the country’s challenges can only be solved through an international community-negotiated political dialogue.